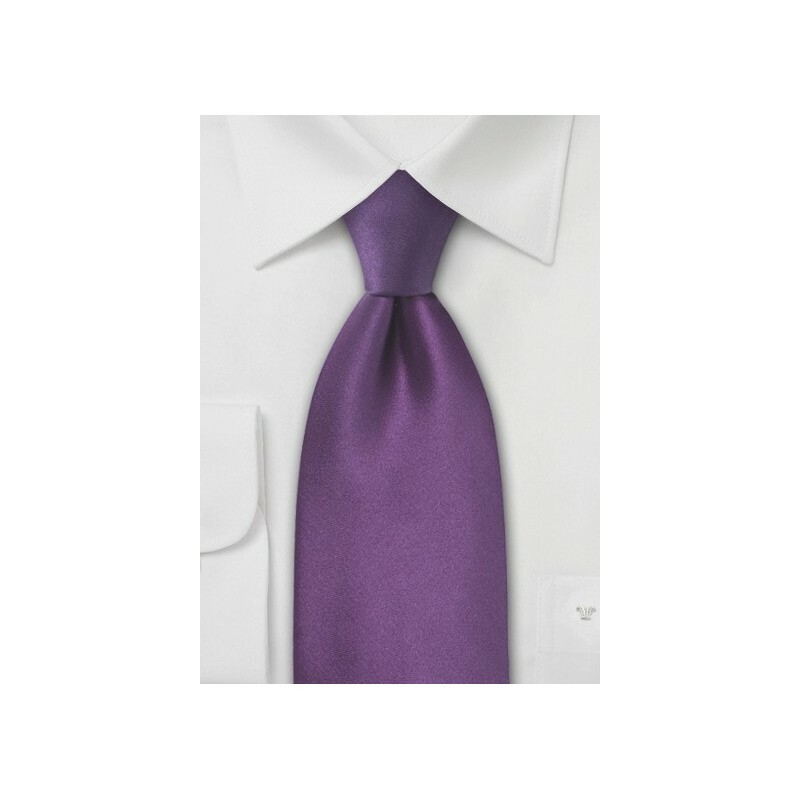 A beautiful violet-purple tie by Parsley that is made in XL length. The jewel toned purple is a great shade because it is elegant and fun. This is the perfect tie to wear for a night out on the town with friends. We recommend that you strictly wear this tie at night because the shade is so rich that it might not work well during the day. 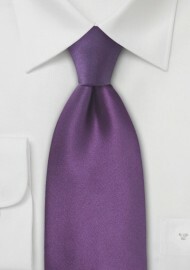 For a semiformal night, wear this tie with a white dress shirt and a grey (light or dark) suit. A great winter time look. For an ensemble that is more formal, try wearing this tie with an all black outfit. This purple will immediately pop when paired against black, making for a very elegant ensemble.